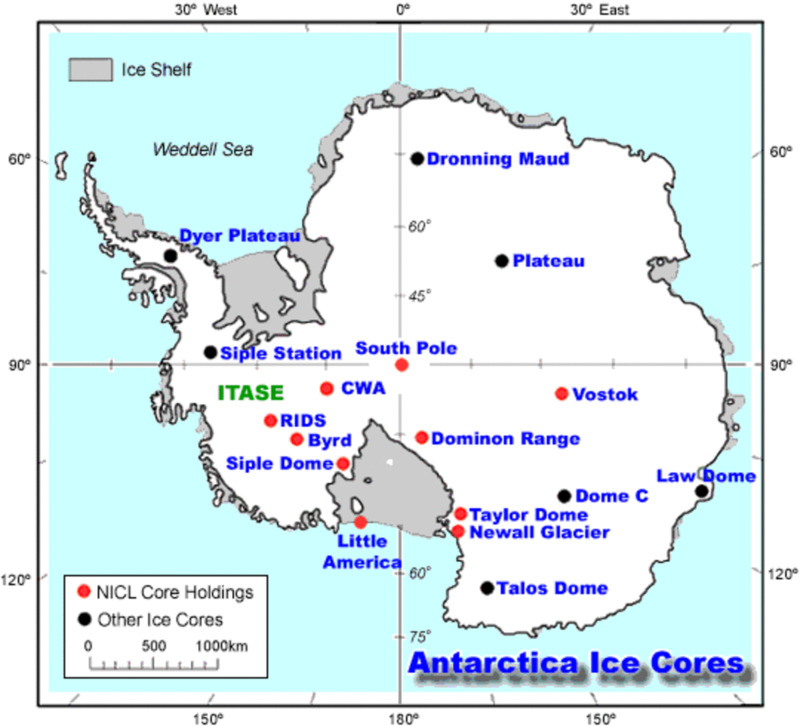 ICE Core CO2 Records - Ancient Atmospheres Or Geophysical Artifacts ? A fossil is a remnant or impression of something that existed in past geological ages – an ancient form preserved in its original appearance. An artifact is a product with an artificial character due to extraneous agency – an object that is left over from a sequence of creative events. Ice sheets are NOT closed systems that trap gases mechanically and preserve them indefinitely. Instead, liquid saline water can exist in ice at temperatures below –70° C, within a permeable ice sheet where a capillary liquid network acts as a sieve to redistribute elements, isotopes and micro-particles. Air recovered from old ice is contaminated during field and laboratory operations. The widely accepted pre-industrial atmospheric CO2 level of 290 ppm rests on biased rejections of high CO2 readings in ice cores. Early studies on ice cores consistently showed a range of CO2 readings that were higher than later studies – in one case, a study by the same researcher on the same ice core showed different numbers in different years. alteration by chemical interaction between gases and ice on long time scales. CO2 can be produced and probably also depleted by chemical reactions occurring between impurities in glacier ice. 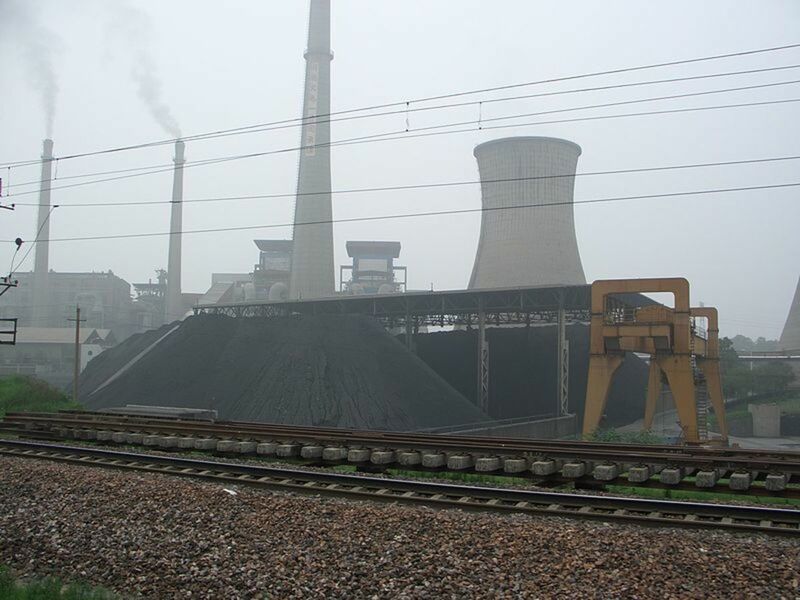 For the production of CO2 oxidation reactions are as important as acid carbonate reactions. Antarctic ice core records compared to those from Greenland are generally less affected by such chemical reactions, due to the lower impurity concentrations in Antarctic ice. The most reliable results concerning reconstruction of ancient atmospheric CO2 concentrations are obtained with ice samples containing a low concentration of carbonates and H20 2. Measurements can be considered reliable only if a detailed high resolution record along a few annual layers shows that the scattering of the results is of the order as the analytical uncertainty. Measurements on ice where air is enclosed in clathrates show additional difficulties due to a fractionation of air components. This holds especially for the zone in which both air bubbles and clathrates coexist. 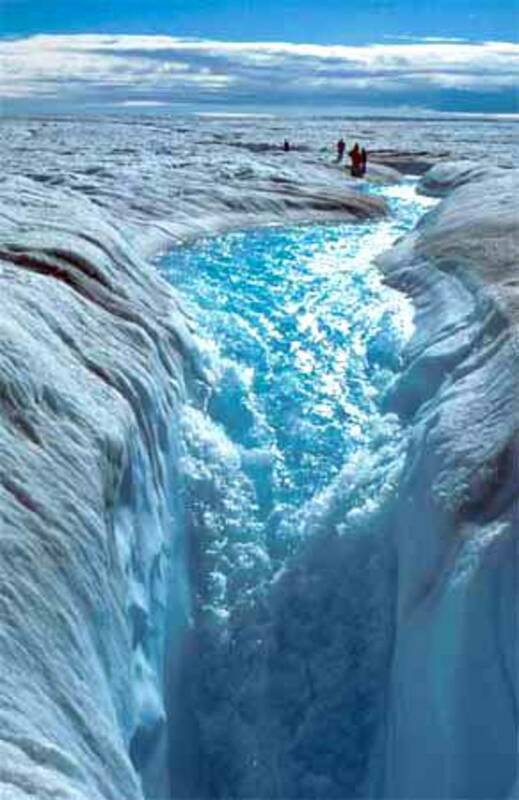 Ices of the Greenland and Antarctic ice sheets, thus, remain the premier records of Earth’s ancient atmospheres. Gases trapped in these gigantic glaciers continue to stand as trustworthy fossils of prehistoric air. 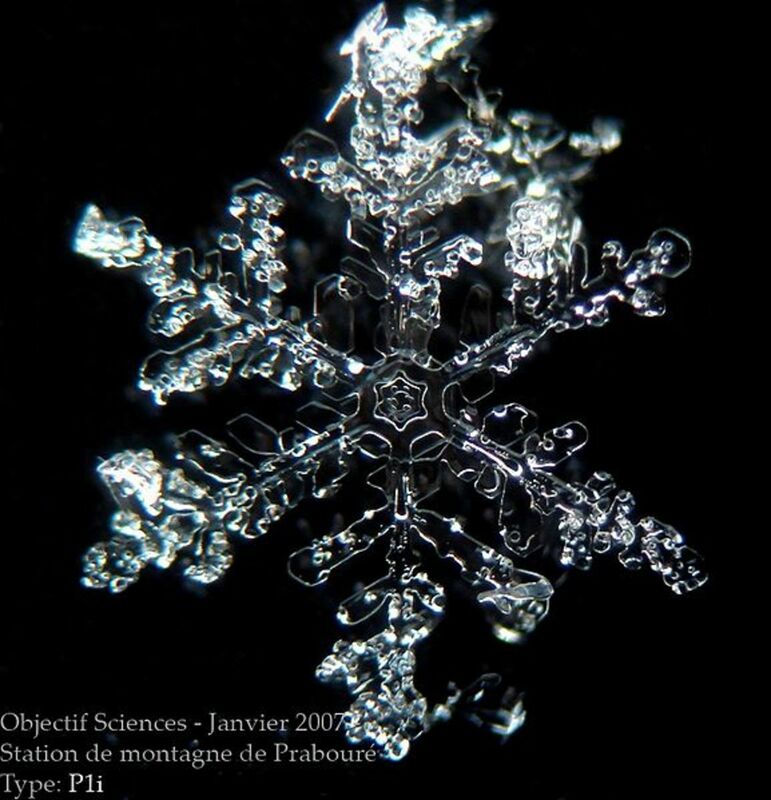 Snow compresses under its own weight into granular ice (firn), between whose grains air continues to circulate. As firn compresses further, air becomes more stagnant and more closed off from the atmosphere. At deeper layers in the ice sheet, air becomes trapped as air bubbles in dense glacial ice. At the greatest depths, air bubbles get squeezed out altogether, and individual air molecules become imprisoned in cages of hydrogen bonds, to form a class of crystal-like solids called “air hydrates” or “clathrates”. According to ice core scientists, trapped air provides a record of the original atmosphere that became sealed in the ice sheet. 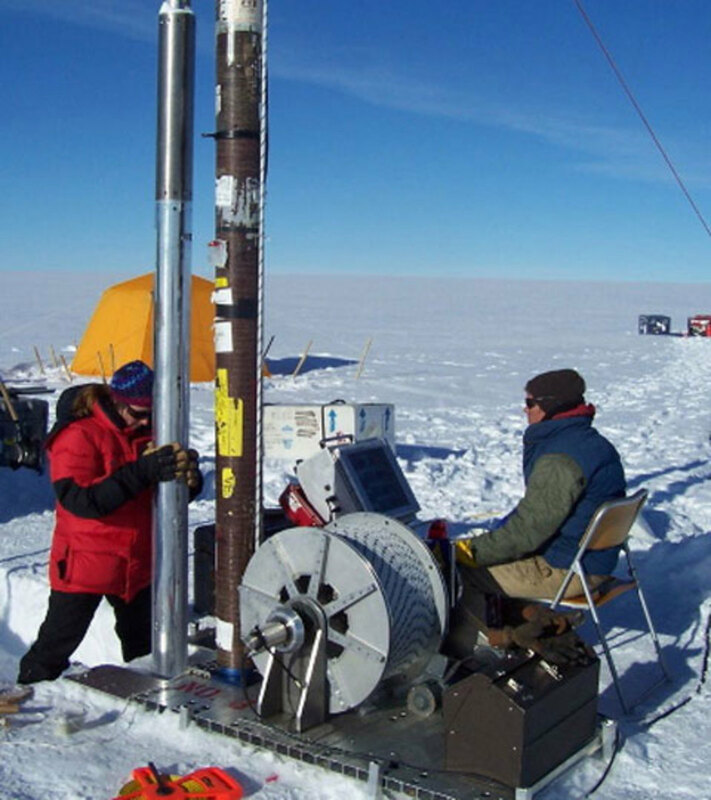 While complexities in selecting and analyzing air samples most certainly exist, ice core scientists again claim confidence in methods that untangle the measurements of such samples. For example, Michael Bender  says, “Measured concentrations of gasses in ice cores and firn air need to be corrected for effects of gravitational fractionizaton and thermal fractionization.” He also points out, “there are substantial uncertainties associated with age [of ice and air] limiting our ability to interpret some records.” His discussion makes clear that researchers have to deconvolute air measurements according to ice flow models limited by basic unknowns and basic assumptions whose sanctity few people question. Air hydrates (clathrates) most likely behave as rigid units when embedded in an ice sheet subject to visco-plastic deformation processes. Even so, there is evidence that diffusion of water molecules in the microscopic channels between ice grains occurs faster than the visco-plastic deformation process. At high pressures deep in the ice sheet, the interactions between air and ice is more complex, and how this interaction takes place on a microscopic level is still an open question. 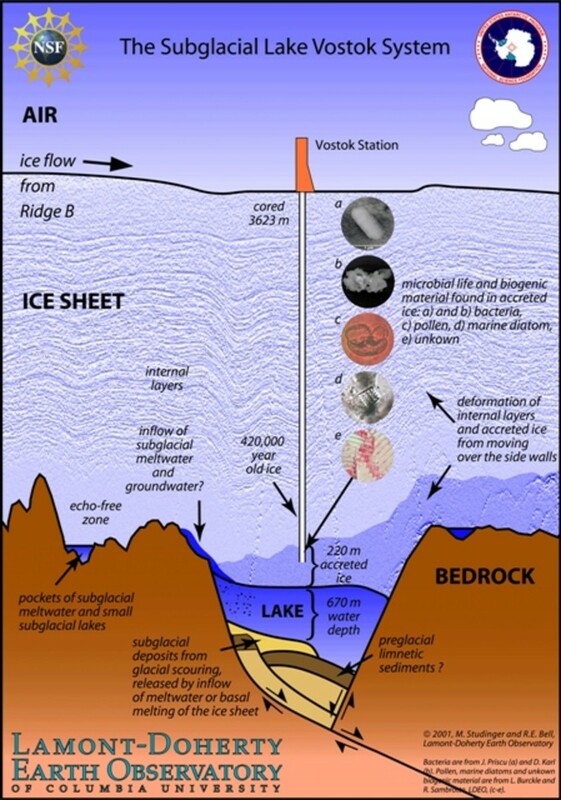 Careful studies reveal ice core segments where appreciable changes in the original deposits have occurred. Microscopic boundaries between ice grains can connect as a fluid network of veins where liquid transports and mixes impurities. Downward diffusion through this network of veins eventually outpaces the flow of the ice, thereby separating substances from the ice with which they were deposited. Scientists require a model that includes such a capillary process to better interpret ice records for reconstructing prehistoric climates. CO2 diffusion in ice after the air is trapped in bubbles is poorly understood, because the extremely small rate of CO2 diffusion has not been accurately determined. Other types of diffusion (for example, via liquid in ice grain boundaries or veins) may also be important, but their influence has not been quantified. Substantial CO2 diffusion may occur in ice on timescales of thousands of years. Diffusion of CO2 may significantly increase with greater depth in the ice due to geothermal warming. The relationship between the solubility of CO2 in ice and temperature is unknown. Besides chemical instabilities in ice sheets, there are also physical instabilities in ice sheets. The enormous ice sheets of Greenland and Antarctica contain ice that flows towards the ocean under the force of its own mass, creeping like a viscous fluid along thousands of years. Flow occurs mainly through deformation. Deformation occurs mainly at the base, as immense weight causes ice crystals to crush over one another and recrystallize. Such deformation and recrystallization are what govern the slow motion and changes of ice sheets. The huge time-scales and relatively high temperatures of the creeping process ceaselessly changes the microscopic structure of ice. Ice flows symmetrically around the vertical axis. Ice thins because of vertical compression only, without horizontal sheer. Ice thins increasingly with increasing depth, in a smooth, monotonous manner. These assumptions guide scientists in dating ice and its contents. These assumptions, however, ignore any possible local deformation, which Durand shows to be incorrect. What he shows is that flow disturbances are detectable from almost the top of the ice sheet to the depths of the ice sheet, increasing in number and intensity with depth. Durand, thus, suggests that ice core scientists reconsider the current standard dating charts. The findings of Durand, Faria, and Bons support the idea that ice cores provide only a static snapshot of the cumulative deformational history of an ice sheet. If such slow, continuous, fluid deformation occurs over millennia, a person might wonder whether a slow, continuous, fluid remixing of contents also occurs. Suddenly, Jaworowski’s objections come back to haunt the discussion again. It is hard to conceive that the physics of ice is separate from the chemistry of ice – that the contents of ice are separate from the continuity of its millennial flow. How can something as fragile as air retain any semblance of its original identity, and how can researchers find any point of lasting stability from which to determine a true signature of any ancient atmosphere? No outstanding piece of literature so far seems to answer this question convincingly. NASA  reports that the surface of Antarctica at any one location, in any one moment, belies its true, complex character, which includes numerous, active pools of water underneath the massive ice sheet. 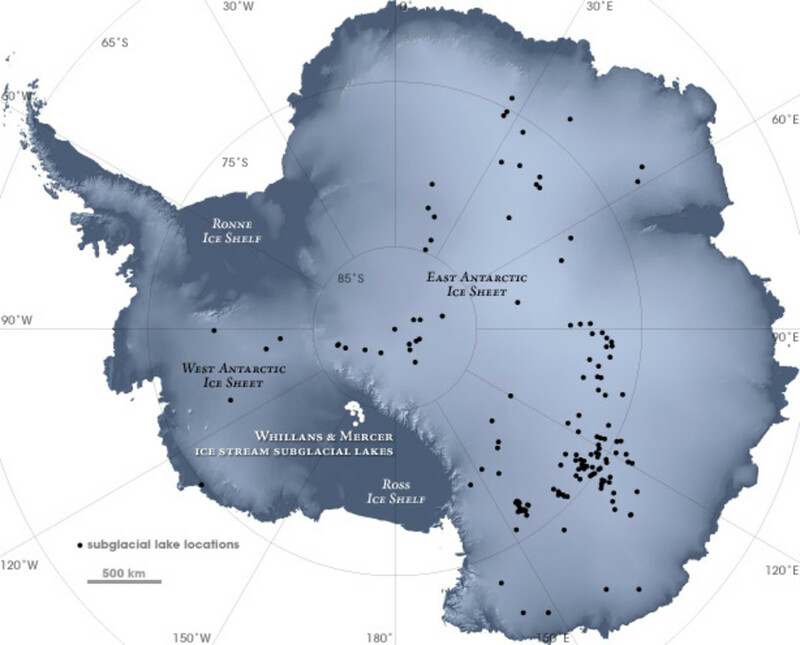 Benjamin E. Smith  and coauthors write that, as of year 2008, the number of subglacial lakes in Antarctica is 280, the majority of which lie under the plateau of the East Antarctic ice sheet. Sarah B. Das  and coauthors document an efficient subglacial drainage system in the Greenland ice sheet that disperses surface lake water. The authors highlight a particularly rapid lake-draining event in 2006 whose flow rate exceeded the average flow rate of Niagra Falls. Hugh Corr and David Vaughan  report a volcanic eruption under the West Antarctic Ice Sheet as recent as 2000 years ago. Episodes of water production and release from the volcano probably affected ice flow. Ongoing volcanic heat production might affect contemporary ice dynamics of this glacial system. A. J. Colussi and M. R. Hoffman  challenge the premise that chemical activity is permanently arrested in deep ice cores, stating that such activity poses a genuine problem in assessing Earth’s ancient atmospheres. They point to photochemical reactions driven by cosmic radiation penetrating deep into glacial ice. M. I. Guzman  and coauthors offer a related study on persistent chemical activity in glacial ice. Not only might these processes take place currently at any one moment in any one location of an ice sheet, but also these processes have taken place continuously, in combination, cumulatively, at different levels and locations in a growing and flowing ice sheet, over many thousands of years or more. Whether or not current ice flow models adequately take into account the collective effect of all these processes remains an open question. In my judgment, whether any model at all can predict or reconstruct the complex effect of these processes on a fragile air inclusion remains doubtful. Consequently, my main question remains unsettled – Are ice core CO2 air samples actually atmospheric fossils or geophysical artifacts? 3. (May 2007) The Ice Core Man [published online], NATIONAL POST, CanWest MediaWorks Publications Inc.
"This does not make any sense to me. So you say, that you criticized the Author based on his way to answer questions instead of considering the facts he presents based on his expertise? Do you think this is a valid argument in a scientific discussion?" My response is that you have it totally wrong. I DID consider his facts and his experience, but this is NOT what he put forth most strongly -- his greatest appeal was NOT to reason, but to his feelings about his field, and THIS, as I have tried to explain to you, is what I was criticizing. This is typical of global warming alarmists, using expertise as a foundation to make clearly emotional claims that the expertise does not always fully support. Your attempt to twist my purpose here is very transparent. You just want to argue for the sake of arguing, regardless of its degree of elegance, which you, so far, have displayed none of. If you do not care that I allow your comments into my article, then, okay, you are gone. No more comments from you. 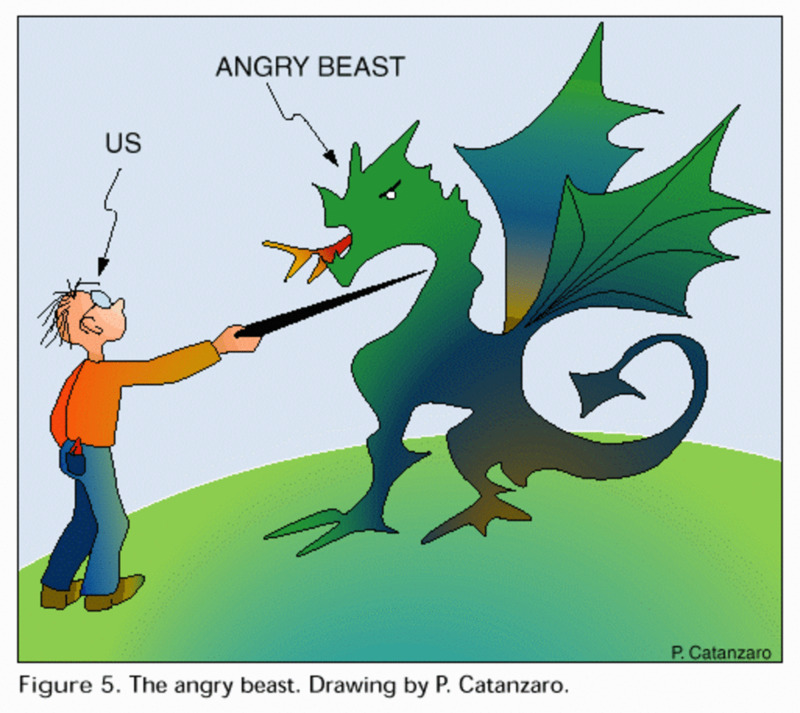 You write: "My point is that I cited the paper that presents a strong argument AGAINST my thesis question, and I then criticized the author's certainty based predominantly on his generalized statements of confidence in his field rather than on his detailed answering of objections raised against his field." This does not make any sense to me. So you say, that you criticized the Author based on his way to answer questions instead of considering the facts he presents based on his expertise? Do you think this is a valid argument in a scientific discussion? Should I be grateful that you allow my comments? I really could not care less. 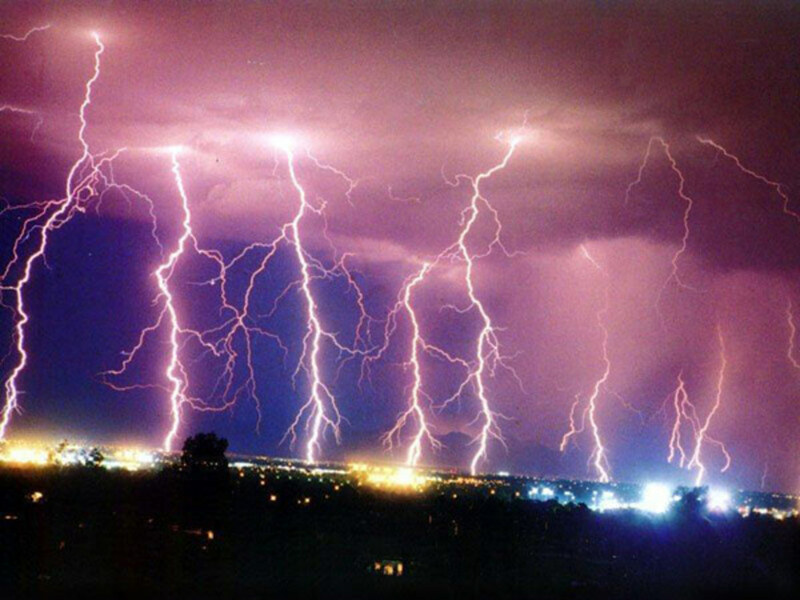 The question of human-caused global warming is now far from being answered in the affirmative. The replies in this "Submit a Comment" section have inspired me to write yet another article on this issue for 2012. I invite you and Spencer to comment there too, when I finish the article and post it. I do not understand your problem with my citing a paper written by one the most respected ice core researchers, despite its date of publication. My point is that I cited the paper that presents a strong argument AGAINST my thesis question, and I then criticized the author's certainty based predominantly on his generalized statements of confidence in his field rather than on his detailed answering of objections raised against his field. Now YOU seem stuck on the paper's date, which is irrelevant to the immediate point being made, as you try to somehow twist my use of the reference towards your personal agenda to invalidate my right to raise any questions at all against ice core research. And still I allow your comments to shine in my "comments" section of this hubpage, over which I have complete editorial control (you might not be aware). Anytime a comment is made in one of my hubs, I am directed to a location with two buttons, "APROVE" or "DENY". Why, oh why, do you think that I keep approving your comments for display, if I am not confident in my presentation and equally confidendt that YOU prove the very need for my chosen question in this hubpages article? In my opionion, believing that the past 100-150 years of human activity has somehow adversely affected the Earth's climate so much that we have somehow broken eons of climatological 'stability' is, quite frankly, arrogant of us humans. Robert... I think this is a great collection of sources. I have always questioned the validity of the 'data' that so-called 'scientists' have collected to try and prove humans direct affect on climate change. I guess it's my nature to question conclusions drawn about "cause and effect" scenarious. Much of the time, I find that there are too many variables in play for any intelligent individual to accurately come to any conclusions. Often it just brings up more questions. I guess the same goes for ice cores. I also think there's no way that your everyday scientist is going to overtly debunk his or her own field of study without committing career suicide and getting shunned by his or her peers. It seems much of what we label as 'science' is now politics. 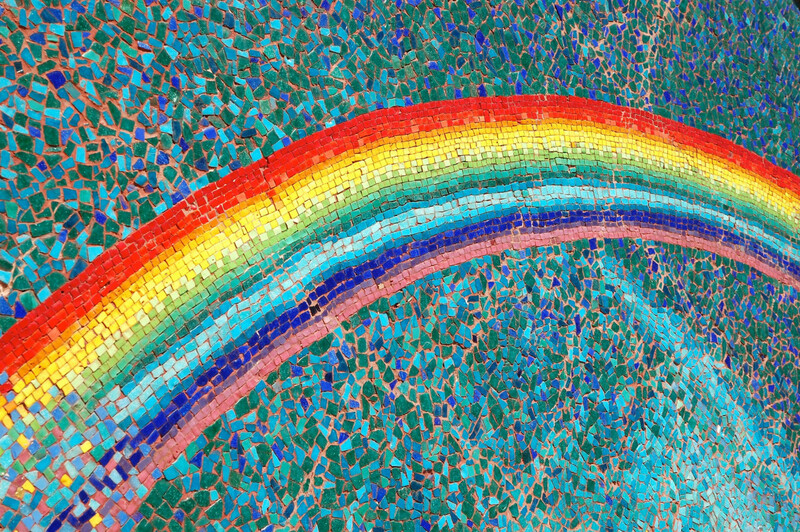 Many studies are funded by politically biased grants or government projects. New scientists are taught by professors with political agendas. They work for and alongside people with political ties. If you're getting paid to gather data and come up with results, you're going to do so even if you decide to 'leave out' some of the dull parts. It might sound like a bit of a 'conspiracy theory,' but I really believe that political and cultural bias is woven in to just about everything. I think in some circumstances the "Big Lie" propaganda technique comes in to play... If you repeat a lie often enough, it becomes the truth. There you go again with that word "randomly". Really, learn what the word means before you toss it around so casually to boost your own ego. Your own cluelessness seems quite extraordinary compared to what you claim is mine. "...I have cited the premier paper in the field of ice core research...". "-Air hydrates (clathrates) most likely behave as rigid units when embedded in an ice sheet subject to visco-plastic deformation processes. -Even so, there is evidence that diffusion of water molecules in the microscopic channels between ice grains occurs faster than the visco-plastic deformation process. -At high pressures deep in the ice sheet, the interactions between air and ice is more complex, and how this interaction takes place on a microscopic level is still an open question." Yes, there are uncertainties and processes which are not completely understood. No doubt about that. But, just citing these quotes is random. You express doubt about human-caused global warming. You might doubt, that the present level of around 390 ppmv is really higher than it was over the last 800´000. Ice cores say yes, but you doubt their reliability. You cite the above quotes. But you do not quote nor reflect nor add any estimation about how much these effects potentially could alter the CO2 concentration in the ice. That these effects potentially exist and could have an influence is no secrete and openly discussed in the literature. But if you quote, you have to put things into relation.The difference between today's and pre-industrial CO2 levels are more than 100 ppmv not a few ppmv! I do not know, but you might also doubt that the combustion of fossil fuels has influence on the atmospheric CO2 levels. In this case you should be aware that there are much stronger arguments than the ones from ice cores. They base on direct atmospheric measurements starting in the 60íes, showing the CO2 increase and along with it a shift of d13C-CO2 to lower values (I will not go into detail here, but it will be easy for you to find the relevant literature). You have doubts about the influence of increased atmospheric mixing ratios of greenhouse gases on global temperature? Fair enough, I suggest you start with reading a publication from 1896 (almost a 100yrs before someone even thought about ice cores) written by Svante Arrhenius. I am afraid that you will not find the final proof, but you will notice that much much more is known about climate than you (and generally we, the public) are aware of. Theories have been developed, rejected, refined, improved, dead-ends were found, things have been looked at from a different angle etc. etc. There is one thing you should be aware of: it is very easy to get public attention by quoting randomly and coming up with some kind of theories, thereby fundamentally questioning 100 yrs of science and discrediting thousands of scientists. It is much less rewarding to be constructive and contribute to the science by discussing and investigate these ideas in the circle of scientists. You go on as you do. I have no doubt about that. In your original post, you blatantly asserted that I was being random. FALSE. I spoke concisely, using a number of legitimate sources precisely related to this topic. You blantantly asserted that I was speaking from little expertise. FALSE. Again, I consulted expert AND alternate expert sources as references. You implied that I stated a firm conclusion about ice core records' being unreliable. FALSE. I expressed a firm doubt. You distorted my assertion about the Earth's long-term plasticity to imply that I meant gross spatial, continental drifts. FALSE. The immense pressures of stacked masses cause imperceptable, microscopic movements that create microscopic fractures and resultant capillary action in ice, whose full implications seem to be unknown. And do not forget that I have cited the premier paper in the field of ice core research, explaining how ice core scientists feel great confidence in their methodology, but I also critique this paper as thin on detailed substance, compared to the pressing questions being raised. This allows readers to go to that exact source, read the paper and draw their own conclusions. Your own attempts to rebuttle my reply do not alter my doubt. YOU equally detract from an intelligent form of argumentation by using the cheapest tactic known -- "ad hominem" argumentation, as you certainly must be aware. You can try to ingest all this intelligently, or you can react as most people do whose faiths have been shaken, which is to allow only degreed experts to speak on certain subjects or to close-mindedly speak their own religious convictions about certain scientific methodologies. I was once a firm believer in human-caused global warming, but I started looking at what alternative, equally-qualified experts were arguing. •Air hydrates (clathrates) most likely behave as rigid units when embedded in an ice sheet subject to visco-plastic deformation processes. •Even so, there is evidence that diffusion of water molecules in the microscopic channels between ice grains occurs faster than the visco-plastic deformation process. •At high pressures deep in the ice sheet, the interactions between air and ice is more complex, and how this interaction takes place on a microscopic level is still an open question. I hoped that you will come up with some good and well founded arguments to answer my reply. But far away, you do nothing than distracting from the discussion and obviously you are getting very upset. Why is that? No answers and arguments left? It refers to your answer when I first commented ["A person could easily argue that privilidging ONLY an ice mass that best fits the pet theories is suspect.."]. You know that, come on! I am trying to say: No, it is not suspect, there is very good reason for it. Then again, lease do not take my answers apart and put them out of context. This is really cheap! When I say, "I do not understand the question you rise", then I obviously did not refer to your Article but to your reply to my first comment! By the way, I don't say your Article does not contain a lot of information (Just to make sure you get me right this time: I do refer to the Article here... ;-)). What I say is that you either did not get the full picture from the literature you cite or that you willingly cite out of context from this literature. Both of it has nothing to do with science and is nothing else than trying to sell your own believe (which you try to cover by saying you did not come to a conclusion yet and that you are approaching the topic open minded...). I know enough to ask the same questions as those people (very much in the know) whom I have cited and who have raised these questions before, but who have been ridiculed by a bias far in excess of what you claim is my own. I have cited experts (and NOT randomly), and I have not explicitly presented my questioning as a final conclusion. I have raised the question AGAIN, very strongly. How does this misplaced analogy, in any way, relate to the issue at hand? Drink your clean water, but let us serve it with an open-minded science that values an equally clean approach to the truth. Then I question your mastery of understanding the language in which I have written this article. Read again. Look at the people I cite. Consider their arguments. Put aside your cherished beliefs, as I have. And do not insult me with your prejudiced arrogance in suggesting that I have no idea what I am talking about. you are probably right, you do not intent to apply tricks. You simply seem to know only a very limited amount of the relevant science behind the topic. You even seem to have problems to understand the very basics of it. This should not be an attack but rather a motivation for you to dig deeper. However, I have a problem if you try to draw conclusions based on this very limited and poor knowledge. It seems very random to draw conclusions before having the expertise to do so. Obviously, there seems to be a good reason (lower content of chemical impurities which potentially could alter the signal) to consider only the Antarctic ice mass as a good archive for certain trace gases. If you can choose between water with a brown color or water which is crystal clear, I think nobody thinks your decision to be suspect if you choose to drink the clear water. In case you even chemically analyzed the two waters and the results show that the clear water is much cleaner, your decision would seem to be even more reasonable. Furthermore, I do not understand the question you rise. It actually sounds very esoteric to me. As far as I know from the literature, impurities are measured continuously over the entire ice core (both in Greenland and Antarctic ice cores). 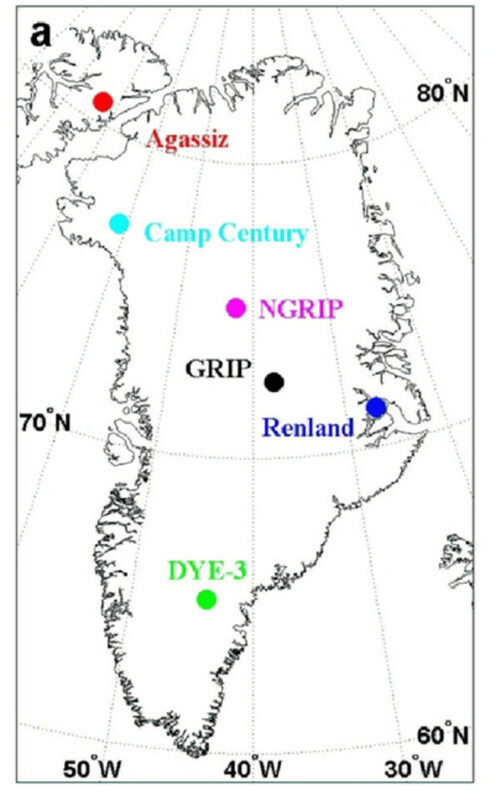 These measurements show the much higher content in ice from Greenland compared to Antarctica. This makes a lot of sense since Antarctica is located much further away from potential sources of these impurities (e.g. 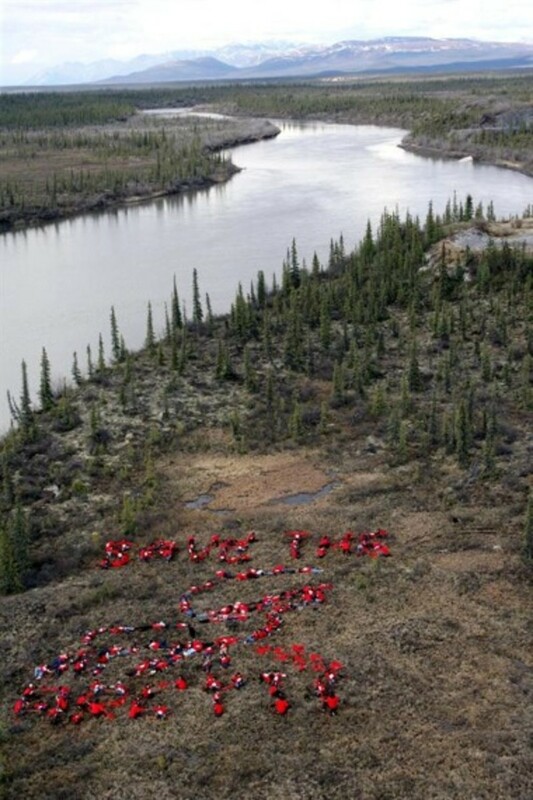 landmasses). The longest record of CO2 is from an Antarctic ice core (EPICA) and reaches 800´000 yrs back in time. The records of chemical impurities also reach that far back in time. 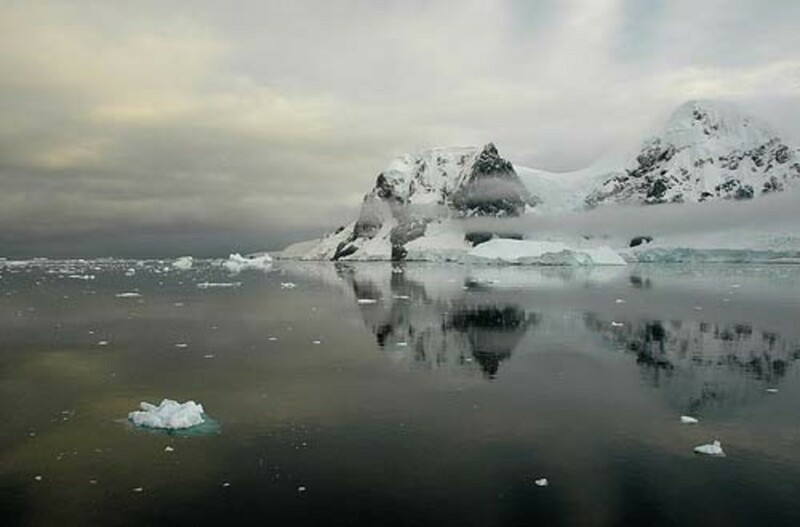 Nothing has been observed which would indicate an unexpected shift (other than the changes between glacials and interglacials) in the impurity levels in Antarctica during this time period. So, the answer is yes, we can rule out that Antarctica ever experienced as high impurity levels as Greenland did (for the time period in question, i.e. the last 800´000 yrs). Second, yes the Earth mantel is moving. Yes, continental plates do move. But this movement is very slow. 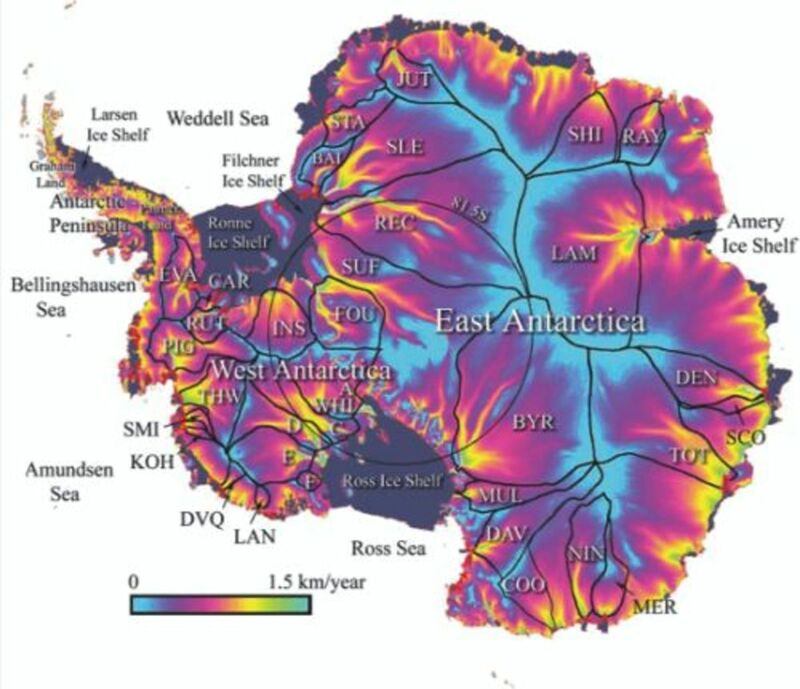 It is very well known (not from ice cores by the way ;-)), that over the last 800´000 yrs Antarctica was never significantly closer to any landmasses than today (which by the way is reflected in the fact that there is no trend in the impurity levels in Antarctica ice over this time period). To summarize, there are indeed things which we can not rule out. These things need to be tested, which as explained above has been done in this case. Only then it is allowed to draw a conclusion and since there remain always some uncertainties, these need to be properly addressed. This is called science. Picking out these uncertainties is very easy and presenting and compiling them out of context is not much harder. Be honest, isn´t this what you do? Or do you really not know better? I am NOT applying, and I am certainly NOT trying to apply, any tricks whatsoever. I relay facts that point to legitimate questions. A person could easily argue that privilidging ONLY an ice mass that best fits the pet theories is suspect. Greenland's obvious impurities should raise further questions about impurities in ANY ice mass that might filter out over eons and possibly operate in some sort of rhythm that evades being detected during the current era. Can we truly rule out that the Antarctica ice mass has NEVER presented such impurities during other, perhaps prehistoric times? The current era of apparent purity in Antarctic ice might be simply current to this era -- again, a very very short span of time, considering geologic time clocks, where the Earth's total mass is plastic NOT solid. Your trick is to distract from this fact with a preferred short-sighted focus on this whole matter. Hi Robert, happened across this thread while doing some more research into preferential size-dependent fractionation of the smaller atmospheric gases such as CO2. 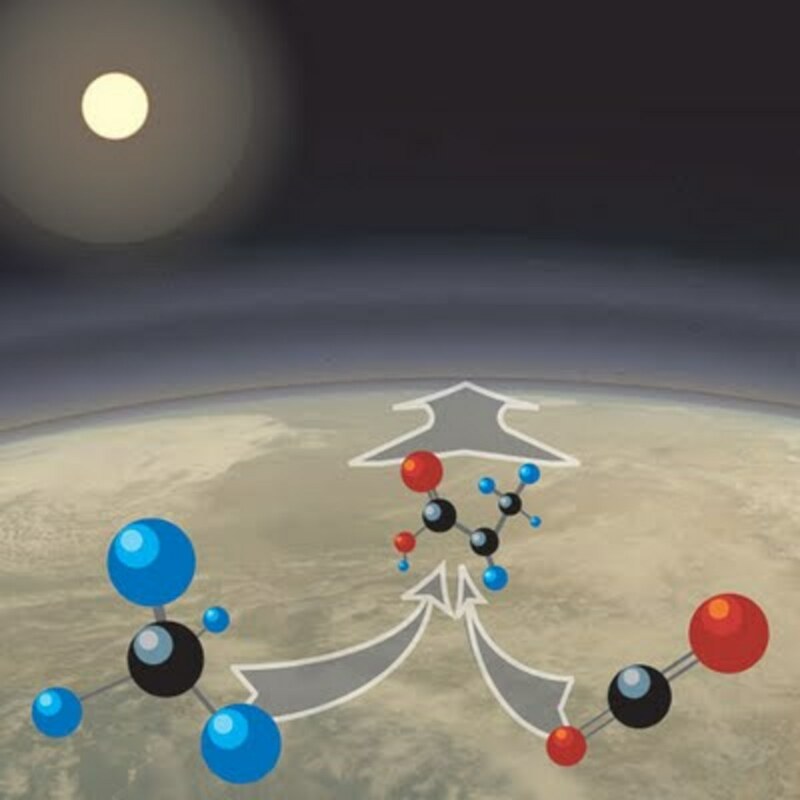 You may be interested in my "Molecular Fractionation in Ice" thread (http://globalpoliticalshenanigans.blogspot.com/201... which is a work-in-progress on the poorly understood migration of gas molecules in the deep firn as it approaches close-off. PS: I tried to make contact by E-mail on 5th Oct. bu tperhaps you didn't receive my message. Jaworowski has received angry, ad hominem, brutal criticism for his analysis. The professional scientists in the field have disowned him, and those people who adhere to the professional scientific stance also reject and ridicule him, as I pointed out. I cannot concieve why the issues of plastic deformation of ice over eons has not received a more seriously focused treatment, in view of all readers on the internet. All I see are fierce reactions AGAINST the suggestion that ice core science might be on unstable ground. Given all that occurs over eons in ice, I can easily see why an intelligent, probing person might question the whole enterprise. thanks a lot for this very helpful, well-written and well founded contribution. Since the publication of the IPCC 2007 report, and in particular after having read Chapter 6 on Paleoclimate, I have been puzzling over the questions you address. I was shocked to see that in figure 6.3 of the paleoclimate report (p444) ice-core air data were put in the same graph together with direct air measurements, without any comment on possible methodological implications, the more so, since this graph has become, as you rightly state, one of the "sacred pillars" of IPCC. The only critical view I had found so far was a contribution by Jaworowski and I did not have the time to really dig for additional substantial information. I still find it hard to believe that there is so little scientific discussion on this very essential element of climate science. Does Algae Reduce the Ice Core CO2? “The ultra-small size of the new species could be one explanation for why it was able to survive for so long in the Greenland glacier. Called Chryseobacterium greenlandensis ..."
“The organism is one of only about 10 [!] scientifically described new species originating from polar ice and glaciers.”. The nagging, "What if the mainstream has it wrong", keeps bugging me. On this ice core issue, I have wavered back and forth. It's hard to know the truth these days. Excellent Hub. FWIW, I think the mainstream opinion probably deserves a more credence than outliers such as Jaworowski, but you've presented a lot of excellent information quite clearly, and without pointless rhetoric. The trouble you've taken to grasp the intricacies of the subject certainly shows! I also appreciate the beautiful images you have gathered for us to enjoy. Again, well-done. Robert, thanks for this article which provides some references that I cqn follow up on. I have been debating this issue on several blogs recently, including Rabett Run (Eli Rabett AKA Joshua Halpern (Note 1), Chris Colose (Note 20 and Permaculture (Note 3). Of particular interest to me is the extent of preferential fractionation arising from the different sized molecules of the various gases, especially CO2, N2 and O2. The impreseeion that I get is that this and the detailed structure of ice at sub-micrometre level has not been adequately researched, with too many assumptions being made. Any help on this wold be appreciated. It's a fairly technical issue that I'm dealing with here, but it is fundamental to establishing the starting place where we measure increases in atmospheric CO2 that incriminates human beings in the case of human-caused global warming. I worked on this hub for four hours a day (minimum), five days a week, for two months,... reading every single source in my source list, ... sometimes twice or more, ... trying to ingrain the basic understanding necessary to resolve the question. I suspect that most readers might find this article a bit complex in places. I tend to do this sort of article. I'm the sort of person who does not get the whole concept of "30 hubs in 30 days". I cannot write, just to write, or just to see how much I can write. I have to be driven by a deep inner impulse to know. I DO sometimes drift towards poetics in the artsy areas of my interest, but I have this scientific side too, as you see. Fascinating article, Robert. Not sure I understood all of it but maybe a second reading in a little while will help me get the main points. Glad you dropped in on this one. You might notice that I have included the stiffest criticisms I could find against this line of thinking, in my SOURCES links. Hopefully, it is also clear that I attempted to leave my main question open, because I personally have not found a clean, concise, convincing, point-by-point handling of the issues I raise in this article (by an expert ice core lab person). This is an interesting article Robert. Lots to digest. Good job!